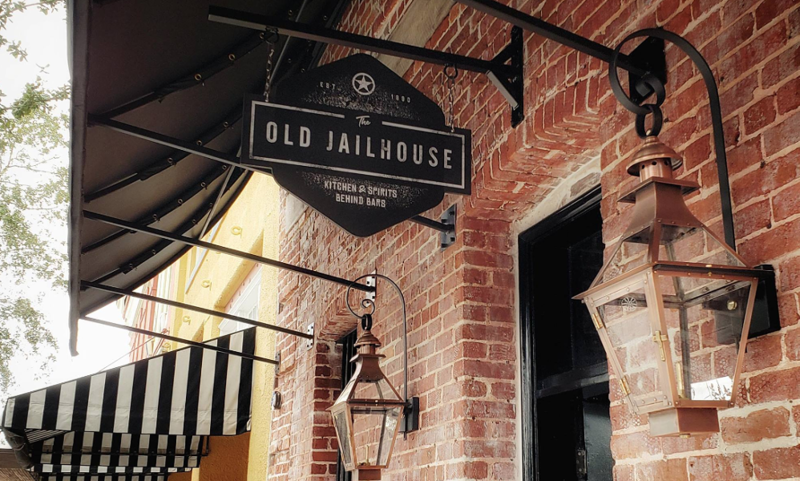 OPENINGS: The Old Jailhouse, Bram Fowler's restaurant specializing in dishes of the American Sunbelt (that is, dishes from the southern parts of the United States from California to Florida) has opened in a former hoosegow on South Palmetto Avenue in Sanford ... Karim El Sherif, former general manager and wine director at Restaurant Daniel in New York, has opened Lotus Asia House at Pointe Orlando. The pan-Asian resto will offer a menu of Chinese, Thai, Japanese and Vietnamese-inspired dishes. A grand opening is slated for Feb. 21. ... Casa Tapas Wine Culture has opened next to Brooklyn Water Bagels on Goldenrod Road near University Boulevard ... The Mexican Camel, a quick-service Mexican/Mediterranean fusion restaurant, has opened in the International Shoppes plaza on the corner of Kirkman Road and I-Drive ... Down the road near the old Wet 'N Wild, Middle Eastern joint Zaman Cuisine is open for business ... Over in Dr. Phillips, OK, but First Coffee has opened next to Steak on Fire in the Fountains at Bay Hill Plaza. In addition to coffee, breakfast and Brazilian pastries are offered ... Mac'd Out, a create-your-own mac & cheese stand, has opened inside the Suncreek Brewery in Clermont. NEWS/EVENTS: The Orlando Wine Festival goes from 3-8 p.m. Saturday, Feb. 16, at the Orange County Regional History Center. 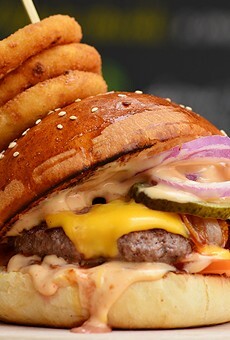 Cost for the walk-around tasting event is $10 ... Close to 40 restaurants are participating in Orlando Burger Week, each offering $5 burgers from Feb. 22 to March 3 ... Tickets are still available for Field to Feast Feb. 23, one of the best food events on the calendar. Cost is $175 ... The 11th annual Downtown Food & Wine Festival happens Feb. 23-24 at Lake Eola. Tickets start at $15 ... The inaugural Orlando Wine Festival & Auction March 15-17 will feature a blockbuster lineup of chefs cooking special "vintner dinners" at private homes Friday night, followed by an outdoor festival, live auction and after-party on Saturday and the Orlando Magic–Atlanta Hawks game Sunday. Participating chefs include Top Chef Season 15 winner Joe Flamm, Iron Chef Morimoto, Akshay Bhardwaj, Art Smith, Tony Mantuano, Scott Hunnel, James & Julie Petrakis, Brandon McGlamery and more. Ticket packages start at $2,500 with proceeds benefiting the Orlando Magic Youth Foundation, serving at-risk youth. Visit wineauctionorlando.com for more.